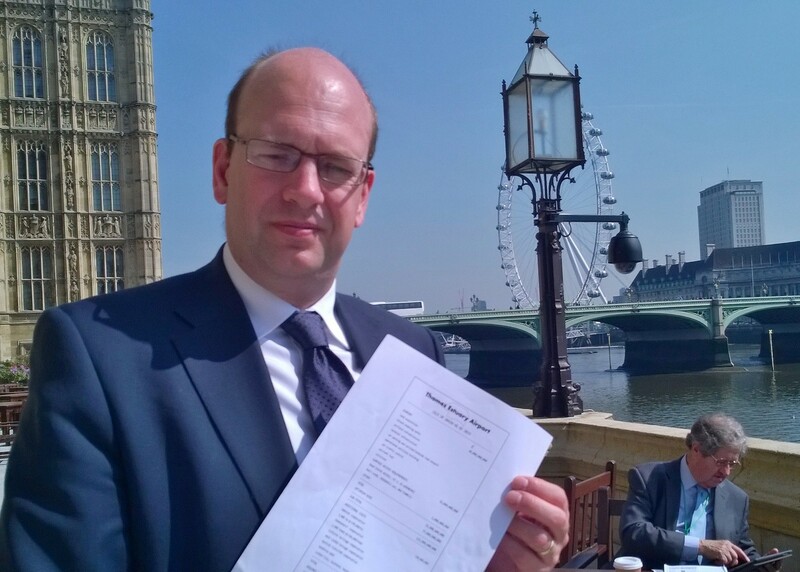 In this short video, Mark Reckless, UKIP’s Parliamentary candidate for Rochester and Strood, talks about his commitment to protecting our beautiful Hoo Peninsula, a place very close to his heart and to the hearts and minds of those who live in the area. 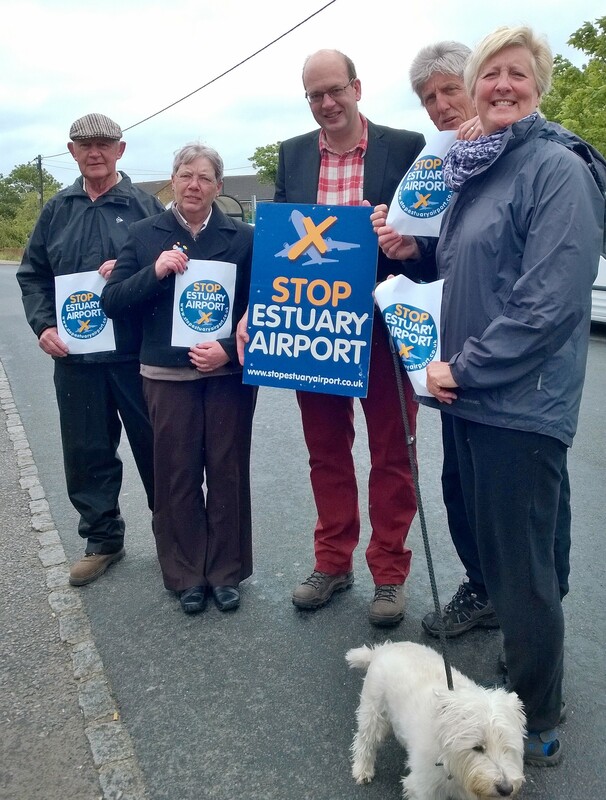 Mark led our campaign to defeat Boris and his proposed estuary airport. Now that David Cameron has said he plans to stand down with Boris likely to take over, the Hoo peninsula is not safe with the Conservatives. Mark has also forced a Public Inquiry into their plans to build 5,000 houses in a bird sanctuary at Lodge Hill. Every Conservative on the Planning Committee, including from Rochester and Strood, voted for that at Lodge Hill. The Council’s cabinet, in which Mark’s Conservative opponent sits, is now spending your money on lawyers to defend its Lodge Hill plan. On 7th May, vote for Mark Reckless as the only candidate with a track record of defending and protecting our Hoo Peninsula. Only Mark Reckless can stop Boris Johnson destroying our Hoo Peninsula. Mark led the campaign against Boris Island, and won! If, as expected, Boris is soon Tory leader a Tory MP here would be whipped to back his airport. Mark Reckless has a track record of beating Boris. Nigel Farage has agreed with Mark that UKIP will block Boris as PM unless he drops his airport plan. On 7th May, vote UKIP to save our Peninsula. Sign Here To Say No To Boris and his Bonkers Airport! We’ve even evolved a special vocabulary to talk about the way MPs betray their constituents’ interests. We talk of politicians being “brave” or “mature”, “pragmatic” or “realistic”. But they’re all euphemisms for the same thing: breaking your election pledges. Well, I can still remember the promises I made in Rochester and Strood at the last election, and I intend to keep them. I promised we would cut immigration. I promised we would deal with the deficit and then bring down taxes. I promised we would localise decisions, including over housing numbers. I promised more open and accountable politics. Above all, I promised to help get Britain out of the EU. And shall I tell you something? I’ve found that it’s impossible to keep those promises as a Conservative. That is why I am joining UKIP. I haven’t reached this decision lightly. I’ve been a Conservative for as long as I remember. I have friends across that party, in Parliament and in the constituency. I hope some will remain friends. I don’t doubt the patriotism of Conservative volunteers and supporters. But I’m afraid that my party leadership is now part of Britain’s problem. Let me return to those promises I made in Rochester and Strood. I promised at the last election, as did every other Conservative candidate, that we would cut net immigration from the hundreds of thousands a year to just tens of thousands. The reality is that in the last year 243,000 more people came to this country than left, back up to the levels we saw under Labour. I’m not someone who is always and everywhere against immigration. It takes guts and energy to cross half the world in search of a better life, and I support a sensible amount of controlled, legal immigration. But if my constituents are asked to accept the case for some immigration, they want to feel, in return that we are in control of whom we are admitting and in what numbers. And we have no such sense today. to bring granny over for a wedding, let alone marry someone from abroad themselves, yet they see our borders open to unlimited numbers of EU migrants. Does anyone, on Left or Right, genuinely support an immigration system where we turn away the best and brightest from our Commonwealth, who have links and family here, in order to make way for unskilled workers from Southern and Eastern Europe. I promised to cut immigration, while treating people fairly and humanely. I cannot keep that promise as a Conservative. I can keep it as UKIP. I also promised that we would make government live within its means, just like the rest of us have to. Instead, we are adding more to the national debt in just five years than even Labour managed over 13 years. And two weeks ago the three Westminster parties have just committed themselves to giving every Scot £1,600 more a year indefinitely. I promised to restore order to our public finances. I cannot keep that promise as a Conservative. I can keep it as UKIP. I also promised to put my constituents’ interests first and return power from the centre to our locality. In particular we promised to do away with Labour’s top-down housing targets that forced us to concrete over our green fields. Yet, now I find that, under government pressure, our Conservative council in Medway is increasing its housing target from the annual 815 we had under Labour, to at least 1,000 every year. Despite the promised EU referendum, it is assumed that current rates of open door EU immigration will continue for at least twenty years. In my constituency that means they are giving permission to build 5,000 houses in a bird sanctuary on the Hoo Peninsula, despite it having the highest level of environmental protection as a Site of Special Scientific Interest. If that goes ahead, where will it stop? I promised to protect our rural Hoo Peninsula. I cannot keep that promise as a Conservative. I can keep it as UKIP. I also promised to help make government more open and accountable, so MPs would answer outwards to their constituents, not inwards to their Whips. David Cameron and his government promised to cut the number of MPs, give Parliament its own timetable, offer free votes in bill committees, have 200 postal open primaries, and bring in Recall for voters to sack MPs. Yet, not one of those promised reforms has happened. I promised political reform. I cannot keep that promise as a Conservative. I can keep it as UKIP. And, of course, I promised to give people a vote on leaving the EU. When I voted that way in the Commons, along with 110 other MPs from various parties, we had three-line Whips against us from all three party leaderships. Since then, David Cameron has promised a referendum. But I’m afraid I’ve reluctantly reached the view that he is doing so purely as a device. He has already preordained his intended outcome, namely continued membership of the EU on something very close to the current terms. Everything else is for show. What the prime minister has in mind – it’s not even a secret at Westminster – is modelled on what Harold Wilson did in 1975, a bogus renegotiation followed by a loaded referendum. David Cameron, and all levels of government backed with taxpayers’ cash, would pretend the terms of membership were radically reformed, when in reality little or nothing would change. A referendum should be a solemn and binding moment. A reminder to politicians that we work for the rest of the country. It shouldn’t be a party-political trick, a way to paper over cracks, or a way to buy yourself time. I believe the question now is, not if we get a referendum, but when and on what terms. So, why should we accept terms loaded against us? In this hall we want a straight referendum. An honest question. In or Out. No fudge, no conjuring trick, no sleight of hand, no fake renegotiation, no pretended new terms. Just a clear choice between EU membership and an independent Britain, trading with Europe but governing ourselves. Every vote for UKIP, every MP for UKIP, means a better chance of getting that straight, fair referendum. If you vote UKIP, you get UKIP. I promised a straight In/Out Referendum. I can’t keep that promise as a Conservative. I can keep it as UKIP. And when we get that referendum, I want us to make the case for British independence in warm, optimistic language. We are not backward-looking or gloomy, still less xenophobic. The only nostalgia I see is the nostalgia of those Euro-enthusiasts who cling to their 1950s vision of a United States of Europe. In almost every other field of politics, we have moved on. We no longer believe, as we did in the 1950s, that big conglomerates are the future, that the expansion of government is benign, or that economies needed to be planned. But the EU remains a child of its time, wedded to its five-year plans, its unelected commissioners, its common workplace entitlements, its fixed prices, its corporatism, its lobbying cartels. That is why Europe is the world’s only declining continent. It’s therefore not nostalgia that makes us Eurosceptics. It’s optimism. We understand how much greater Britain could be if we raised our eyes to wider horizons. All of you in the hall already know this. But I want our friends watching through the media to understand it, too. UKIP is a positive party with a positive vision. We believe in a global Britain, prosperous, independent and free. We believe in a Britain of opportunity we would be proud to leave our children. Before I conclude, I want to invite you to come to my constituency. And I may need you even more than Douglas because Rochester and Strood is not Clacton. Matthew Goodwin, the leading academic to study UKIP, says Rochester and Strood is not even in the top 100 Conservative constituencies vulnerable to UKIP. I am proud to represent many ambitious professionals, aspirational families and young commuters. And by the way, if any of you are watching now, I hope you will be voting for me. In Rochester we have a castle and a cathedral. We’ve a lovely high street full of independent shops. There are French patisseries and Italian delicatessens. We are less than an hour from London and just two hours from France. Matthew Parris would love it. But, just as Douglas Carswell answers to his constituents in Clacton, I answer to the constituents I serve in Rochester and Strood. They are my boss. And, if I want to represent them under different colours, I hope in a party closer to their values, then I should ask their permission. So, I will resign my seat in Parliament, trigger a by-election and, your National Executive allowing, stand for UKIP. And I need you to join my campaign because, if we can win in Rochester and Strood, as well as Clacton, and perhaps here in South Yorkshire then we will show that UKIP can break through across the country. We will show once and for all that if you vote UKIP, you get UKIP. A UKIP which can do for politics, what modernity has done for society. A UKIP which is about hope and optimism. A UKIP which can safeguard our children’s future. A UKIP which believes we are more than a star on somebody else’s flag. I refer back to my previous submissions, and again emphasis that land in and around the Thames Estuary, particularly to the North side of the Hoo Peninsula, is strongly protected by UK and EU law and UN conventions. Since you have already determined that there are three other options which are credible and merit further detailed consideration, building at the Thames Estuary site would be unlawful as a precondition for this is that there should be alternative. Building an airport in the Thames Estuary is also likely to be financially unfeasible due to the phenomenal and extraordinarily uncertain costs involved in the construction of a new airport in the Thames Airport. Such an enormous infrastructure project could not realistically be privately financed. Construction of a new airport, as opposed to the expansion of existing infrastructure at Heathrow or Gatwick, cannot offer any predictable return on investment. Any private financing for a Thames Estuary Airport would have primarily to come from banks and debt capital markets, yet the asset against which funds would be secured would remain speculative for well over a decade before the airport was functioning and earning any revenue to begin to service its debt financing. It is clear that providing finance for the Thames Estuary Airport through the sale and redevelopment of Heathrow is not a tenable method of funding the project. The sequencing involved in building an Estuary Airport is such that money could not be extracted from Heathrow until after the site is closed, and the airport could not close until the Thames Estuary Airport is fully operational. Planning for financing which will not be available for perhaps 20-30 years is an unworkable model. It is also notable that in Hong Kong the closed airport still remains undeveloped. Even if there were any prospect of a contribution from private funding, all parties agree that the project would require a very substantial public subsidy, previously as a figure in the region of £65Bn on the basis of the Commission’s £82-112 billion overall estimate. 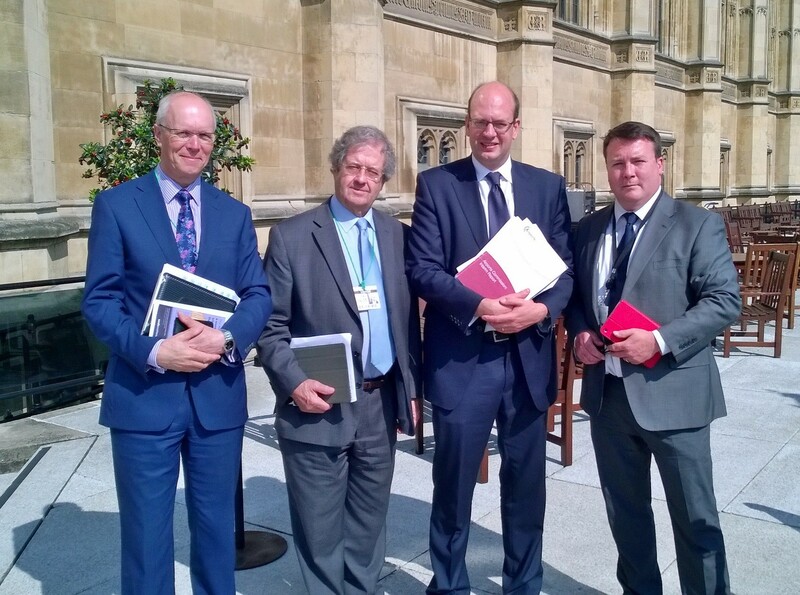 The costs seminar involving city analysts and industry experts which I chaired at Westminster on 16 May 2014 reached an overall estimate of approximately £148 billion, implying public subsidy of over £100 billion given the estimates of maximum private financing capacity to which the Commission has referred. Aside from the almost certainly insuperable difficulties that this figure would present to the exchequer, the taxpayer, and the political process, a subsidy of this magnitude would constitute an unprecedented instance and scale of State Aid. This would at a minimum require lengthy consideration by the EU Commission before construction of the airport could begin, and money spent to design and prepare for that could be wasted if spent in advance. If State Aid is found to distort competition in a way which is harmful to citizens and companies in the EU, then the State Aid would likely be found to be illegal. Again, because of the need to show such aid to be ‘necessary’, the exception hurdle is likely to be insurmountable since the Commission has already identified three other options as credible alternatives.Further, the Mayor of London in promoting this project, has done so on the basis that he believes such a state-backed project would be for the UK to prevail in competition with hub airports based in Paris, Frankfurt and Amsterdam. Schipol in particular would have a great incentive to invest very significant resources in legal and political efforts to prevent such a state-back Thames Estuary Airport. In order to make a return on the investment in a Thames Estuary Airport, the landing charges levied would need to be at least around 2.5 to 3 times those charged at Heathrow. I had previously estimated that a Thames Estuary Airport would add an additional £50 to the price of each plane ticket and others have estimated a total per person charge of £70 being required. As Heathrow’s landing charges are already some of the most expensive in the world, such charges would make a Thames Estuary Airport highly uncompetitive, whether contrasted with European hubs or airports in the Gulf States. This combined with the destruction or international flight of business based around proximity of Heathrow would both undermine the UK’s hub aviation and greatly harm the UK economy.